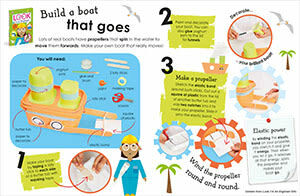 Propel your students' imaginations with this boat building project from Look I'm An Engineer. It's the perfect complement to a STEAM lesson plan, or a handy printable resource for learning over the summer holidays. Download yours below!